A Tough Mudder is not your typical running race, so finding the right shoe for these grueling off-road competitions can be tricky. With a variety of terrain, a gauntlet of obstacles, and the challenge of covering a long distance, you need to consider a few things when selecting the best shoe for your event. In the end, though, the best shoes, hands-down, for Tough Mudders are usually trail running shoes. These shoes offer greater protection for your feet and better traction over a variety of running surfaces. Which you definitely will need. Trail shoes are ideal for the uneven and unpredictable terrain that is characteristic of Tough Mudder courses. With them, you can quickly transition from solid surfaces to mud and back again without losing traction or performance. 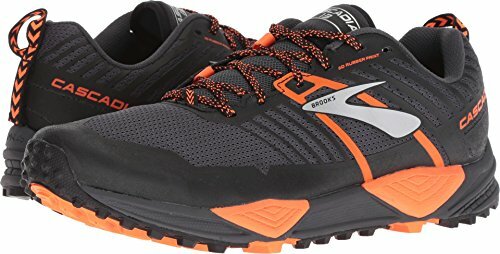 While trail shoes are typically heavier than road shoes, the weight comes with definite advantages: the soles are highly durable, the design ensures protection and support for your feet, and the aggressive tread provide defense against rocks, roots, and other obstacles common to off-road running and obstacle courses. 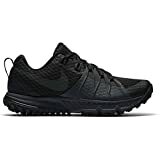 As with road shoes, trail shoes offer different cushioning options, ranging from maximal models with a huge amount of cushioning, to “barefoot” versions that really let you feel the trail beneath your feet. Cushioning is largely a matter of personal preference, so if you are unfamiliar with the available options, visit a good running store with knowledgeable staff who can talk you through your options, and be sure to try on several different styles. Variations in construction will also help to control the rotation of your feet. A good running store can analyze your stride and recommend the right model for you. 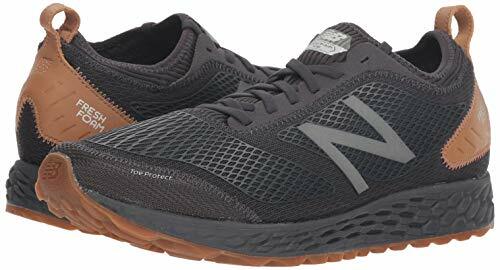 Especially in a race as difficult as a Tough Mudder, you want a shoe that will work with your stride to make you run as efficiently as possible. We’ve taken a look at some of the best trail running shoes for Tough Mudders and put together a selection that will help you get past the obstacles to a new PR. 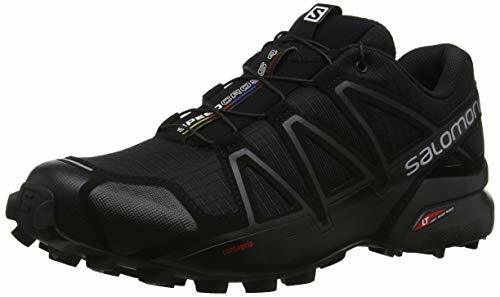 The Salomon Speedcross 4 hugs the foot to provide both comfort and support over different terrain conditions. The Quicklace system easily secures your foot for maximum stability over tough surfaces. The laces do not come untied even during heavy competition. This shoe has superior traction on both wet and dry surfaces due to the Contagrip rubber that makes up the outsole. Six-millimeter, arrow-shaped lugs help them bite into terrain for a sure grip. The lugs also function as a rock guard, since this model does not have one. This feature protects your feet against sharp or pointed objects on the trail. The Speedcross 4 feature a thick midsole to help cushion your foot against rocks and other rugged terrain elements. 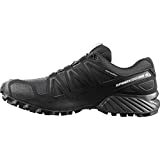 This shoe is durable and responsive, keeping you in contact with the trail and moving forward even in tricky conditions. Salamon’s SensiFit system ensures that the Speedcross 4 will conform to your foot for maximum support and comfort. 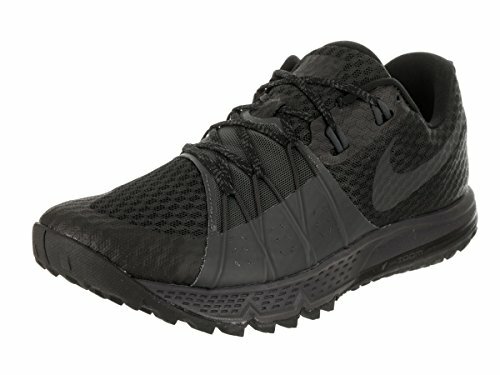 The Nike Air Zoom Wildhorse 4 is ideal for trail and mixed-terrain running. A protective plate keeps your feet safe from rocks and other elements that could cause injury on the trail. The Flywire cables help to ensure that the shoe wraps around your foot. This feature makes the shoe conform to the contours of your foot for optimal stability and comfort. The heel features a Zoom Air unit, providing responsive cushioning while maintaining a low-profile. The Wildhorse 4’s upper, made from Nike’s spacer mesh, is highly durable and resistant to abrasion. 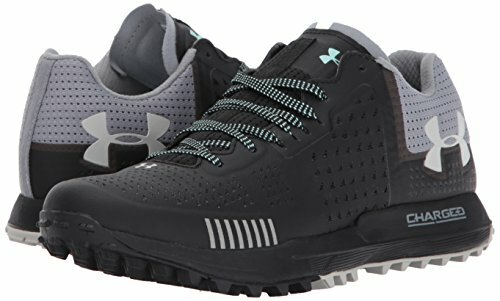 This makes for a cool, comfortable shoe that will survive frequent encounters with rocks and trail obstacles. Underneath, the waffle outsole and rubber perimeter ensure that this shoe is durable. These elements also help you to maintain traction on the most rugged of terrain. The Saucony Xodus ISO 3 has a few different width options to accommodate different feet. The shoe has a semi-curved shape that ensures that it works with the natural curve and shape of feet. 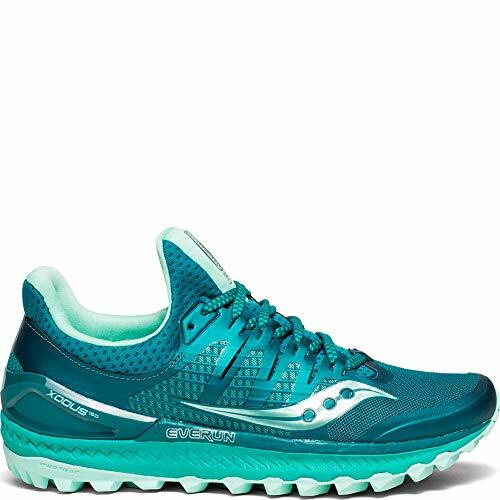 Saucony’s outsole uses a special durable compound that shields it from wear and tear while providing superior traction. The lugs are multi-directional and aggressive, allowing them to grip muddy and uneven surfaces easily. Difficult descents and ascents are no sweat with the additional stability and control of the design. The midsole has a full-length platform that also contours to your feet. 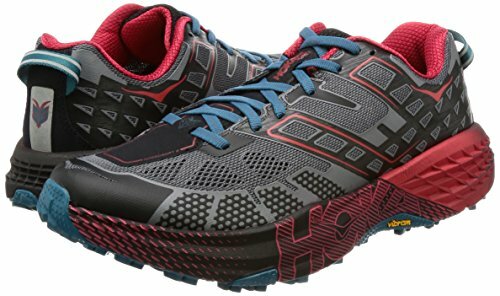 Additionally, it provides a good amount of cushioning for the hard impacts of aggressive trail running. The breathable upper mesh keeps your feet comfortable. However, the pores in the mesh do not allow debris to get inside the shoes. The New Balance Fresh Foam Gobi Trail v3 offers optimal protection and comfort for your feet on the toughest trails and competition tracks. Compared to other trail shoes, the Gobi v3 is lightweight, making for an efficient shoes that does not slow you down. The no-sew construction of the upper helps to prevent foot irritation. The fabric of the shoe conforms to your foot so that the shoe is snug while still allowing unrestricted movement. The materials also protect your feet against accidental surface contact and debris. The midsole of this shoe is responsive and lightweight. It only uses one layer of foam so that it cushions your feet without adding weight. In contrast to some of the sturdier shoes we looked at, this design allows for easy and natural movement. The UA Horizon RTT’s best feature is its durable outsole. The rubber compound provides superior traction for all types of terrain. The high-abrasion areas of the shoe have further reinforcements to provide even greater durability. On top of that, the Horizon RTT’s midsole has EVA foam that runs the length of the shoe. This foam works to absorb shock while throughout the duration of a long run. The upper is breathable, but it does not allow dirt and debris to get inside the shoe. The molded collar is especially effective at locking down your heel, so that your feet stay in place as you run. 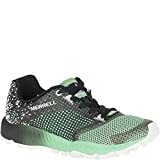 The Merrell All Out Crush 2, in additional to being a great value, is a vegan-friendly shoe that is ideal for all terrain types. There is a Lycra neoprene lining on the inside of the heel to reduce friction and provide greater comfort. An extra layer between the outsole and midsole works to provide extra comfort and protection for your feet. ocks from injuring the bottom of your feet when you are running. The rubber that makes up the outsole is highly durable and provides excellent traction. Even on a muddy and wet trail, the All Out Crush minimizes slipping. The strategic placement of the lugs ensures traction while also being self-cleaning. That’s important in races that feature lots of mud. The upper uses a mesh that molds and stretches, conforming to the shape of your foot and giving a custom fit. Bonus: the material dries quickly, and your feet will thank you for that when you are in and out of puddles over the course of a race. The Hoka One One specializes in maximally-cushioned running shoes, and the Speedgoat 3 is one of its most popular models. And for good reason. Beyond the luxurious comfort of the shoe, it is also a high-performer: the Speedgoat has a wide base to ensure greater stability when for tackling complex trails. Its traction, even on muddy trails, is second to none. The midsole has reinforcements throughout that work to conform to your feet. This feature provides support because the shoe can contour to your feet. The outsole is a Vibram MegaGrip. The 5mm lugs are multi-directional, allowing you to navigate any terrain, including technical mountain downhills and muddy ascents. The Speedgoat’s weight, despite its high profile, is moderate, so it will not slow you down when you are racing. The outsole is thick (that’s an understatement), so if you do not want to feel the rocks and debris on the trail as you run, give this shoe some serious thought. The upper uses a 3D Puff Print mesh. This mesh ensures solid support and breathability to keep your feet dry when you are traversing wet terrain. The toe cap has reinforcements that work to protect this area of your foot. The Altra Lone Peak 4 has a rugged outsole that uses MaxTrac rubber for superior durability and traction. It works with your foot’s natural shape because it looks like a foot’s natural shape. The outsole is also slip-resistant, even on muddy or wet surfaces. 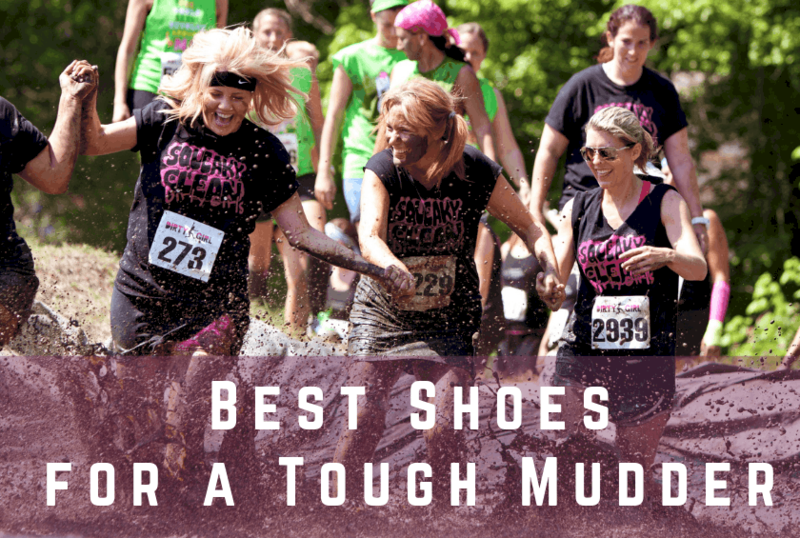 Tough Mudders are all about muddy and wet surfaces. The midsole is a springy soft foam, and it works well to disperse weight and impact evenly. The midsole also does not restrict movement, allowing a variety of natural gaits. The upper is breathable so that your feet remain dry and comfortable. This part of the shoe forms to your feet so that you have the comfort and support that you need. This ability is thanks to the webbing pattern that cinches easily. The Brooks Cascadia 13 protects your feet against debris due to its 3D Rubber Print Mud Guard. The shoe is also breathable, helping to keep your feet dry and cool without dirt and debris getting inside and injuring your feet. The integrated gaiter connection point works to provide stability as you are moving on uneven surfaces. This feature also allows you to maintain the natural movement of your feet. The internal saddle system conforms to your feet. This system provides a custom fit for runners who prefer a little more support for their feet, especially if they have medium to high arches. 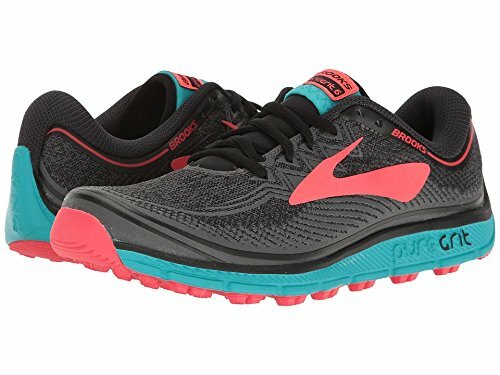 The Brooks Puregrit 7 has a Ballistic Rock Shield to prevent debris from harming your feet. The outsole, made of a blown rubber material, is durable and allows for superior traction on uneven and wet surfaces. The Puregrit 7 is an all-purpose show suitable for many different kinds of runners, thanks largely to a midsole that is firm and works for people with varying types of pronation. The shoe offers excellent support while being adaptable and responsive. The upper is breathable, and it provides a glove-like fit for your feet. The shape of the shoe is anatomical so that it works with the natural shape of your foot.